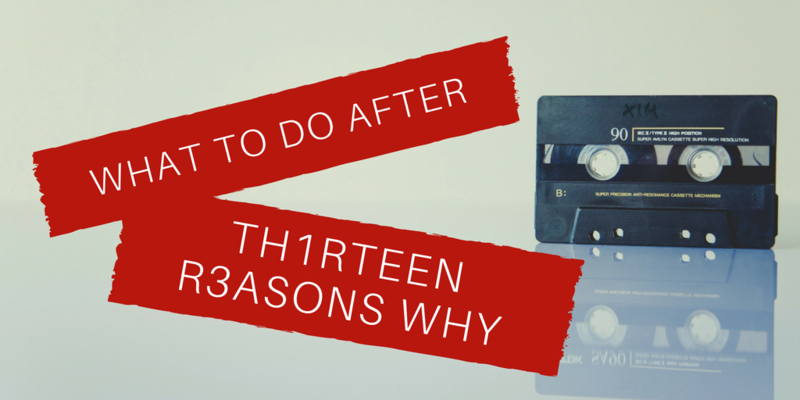 *This is the last in a series of three blog posts that we released Summer 2017 regarding season one of the Netflix series “13 Reasons Why.” Subscribe to the Teen Life Podcast to catch our current podcast series breaking down season two of the series. This is a great place to start though! Here’s the truth. 13 Reasons Why is a Netflix original show. It is entertainment. People have ranted and raved about whether it should or should not be out there. Well, all that attention means a second season is coming. This is a testament that any press is good press. It brought a lot of attention but to what end? I hope it promoted meaningful conversation between teens and adults, and I trust that this week we have encouraged more good discussion. That is why we wanted to end our blog series with this particular post. One thing I felt was missing from the whole show was examples of people seeking out help and succeeding. Why is that? Is it that it would have taken away from the entertainment value? I don’t believe so. I think they missed a major opportunity to model for teenagers how to seek out helpful resources. The direction to a website in the opening of each episode was nice, but all that is there are crisis hotlines and links to click further and try to figure out how to get help. What would have been more effective, I believe, is showing in every episode some examples of someone successfully seeking and receiving help. With that as the background for this post, the goal here is to give you, the reader, ideas and some direct resources to help a teen in the real world who is struggling. This should not be seen as a replacement for continued training or adhering to any law directing you how to respond. But rather, this post could be a reference tool to get you to the resources needed to be ready and have on hand if the time arises. Though, truth be told, all of us hope we never have to use these resources. First, just the fact that there is a show about suicide is enough to bring up the discussion about such a serious topic. You don’t have to watch the show for that conversation to start. You could watch any number of shows if you need a starting place, but none of those are going to have the answers. Only an open and honest conversation about what your student is facing and needs will meet the desire for discussion that is there. So take the opportunity. Ask questions and invite conversation, then listen. Second, look locally at what is available. In the Fort Worth area, there is a Suicide Awareness Coalition. Attending these monthly meetings has kept the conversation in front of me and our team and helped us not lose sight of the seriousness of the situation. In addition, there are often classes, seminars, or workshops you are able to attend. These are usually geared toward licensed professionals but can be attended by anyone. I have gained a lot of helpful connections and tools this way. Third, personally check in on the resources. Call the national hotline yourself. Time how long the wait is. Make note of the prompts and be prepared to communicate those to someone you might need to share that resource with. Visit local organizations that offer services. 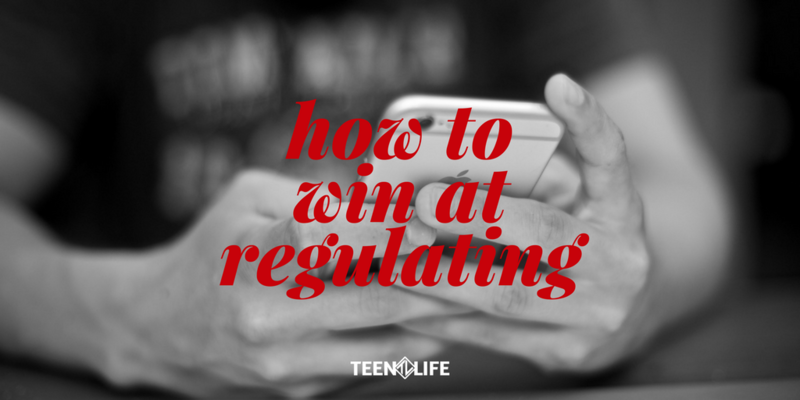 Ask specific questions related to the things teens you work with have brought up. It is very helpful for you to simply be able to say, “I visited this place and the people there really want to help.” This is so helpful because many times people in a severely depressed state don’t believe anyone wants to help them, and they need a lot of reassurance from someone they trust. You want to be confident in the resources you are suggesting if you ever need to be that person. Fourth, once you are equipped with information and resources, you will feel prepared if a situation happens. This happened for me just a few months ago. I had a friend call, and he was actively suicidal. I found this out by asking pointed questions like, “Are you thinking about killing yourself?” and “Do you have a plan?” When the answer to these questions were both, “Yes!” We called the local crisis line together. I was so glad I had the number in my phone. They gave us some options of places to go, he picked one, and I took him there. I stayed for about 4 hours. Yes it took time, but I was so glad I stayed until he got medical attention and checked into a program to get help. I am convinced he would have killed himself if I had not been there. Fifth, the last scenario you want to be prepared for is what to do if a teen you know does kill themselves or if a friend of theirs does. This is where the above resources come in. They will help you be prepared to reach out or be able to listen and ask helpful questions. Again, here locally there is a resource called LOSS Team. This is a volunteer led group that is available to survivors of suicide. They are specifically trained and equipped to help handle a loss. If you don’t have one in your community, reach out to local counseling services for groups or to a local church that may offer a resource. As with all grief, everyone handles a loss to suicide differently. It is important to know that grieving a suicide is different than other grief though. Knowing this is the important piece. Finding a resource specific to people who have lost someone to suicide is the ideal situation. To be clear, what you are doing here is not equipping yourself to be the professional, long-term solution to help someone that is thinking about suicide. You are educating yourself to be a first line of defense, working in a preventative way to significantly reduce the number of students who end up in a place where they feel so hopeless they don’t know where to turn when they have suicidal thoughts. That’s right I said “when.” The truth is many of us, including myself, have thoughts of suicide at one time or another. The problem comes when we believe the lie that we are the only one, and that means we have no hope of recovery. Instead, we need someone like you to come alongside us and walk with us through that dark place until we get back to where we can find the reason for living again. What is missing? 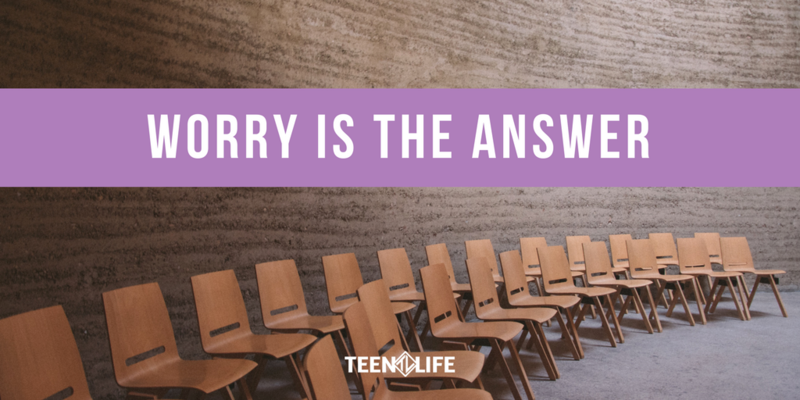 What other resources are you aware of that can make a huge difference in helping teenagers as they navigate stress, anxiety and depression? Their struggle, or yours, does not ever neeed to end in suicide. Let’s pull together and raise awareness to end suicide all together. Ricky Lewis is Teen Life’s Founder. As a father of 7, he seeks to help parents and their kids Live Life Better. Last week, I had the privilege of speaking at my son’s school to 5th graders about their future career. Something I am sure they were excited about. Really though, they were! They expressed interest and asked good questions. 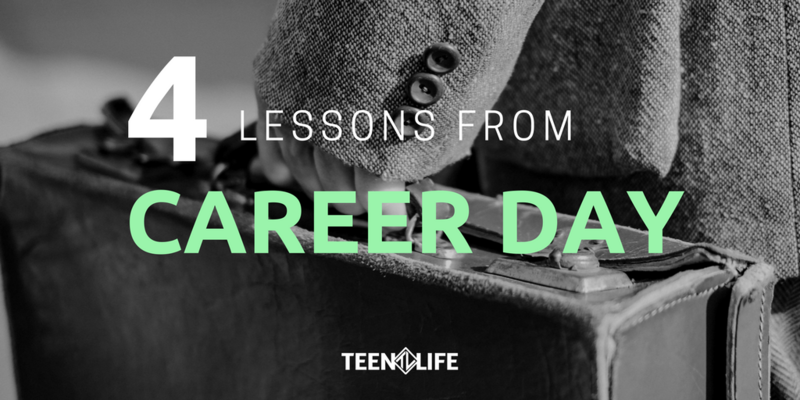 My goal was to share with them what all I had done and then leave them with some ideas for how they can continue on a path that will help them choose a meaningful career (or careers). The reality is that any job you do can have meaning, and I chose to focus on that. I listed my first 10 jobs for them. These jobs included: roofing, small engine repair, a sporting goods store, Pep Boys and more. I learned things at each of these jobs. Maybe not as much at the time, but looking back, I can see that I learned important lessons. The small engine shop was my first job. At age 12, I started learning how to fix small engines and enjoyed riding the go-karts around to “test” them. The lesson I learned though is that not everyone knows how to run a business. That guy still owes me money. I have moved on, but the lesson still remains. I want to work with people who will prioritize taking care of those they are partnered with. The summer I spent roofing, I learned that is not something I wanted to do the rest of my life. It was hot and hard, and I knew I wanted to get a degree and work in the A/C as much as possible. At Pep Boys, I worked the parts counter. Looking back I realize that what I was doing was helping people get to work and take their kids to school because the parts they bought helped fix their car or keep it running. These are important things when you rely on that car to get you where you need to go. Each of these lessons were meaningful but mostly in the way that I am looking back on them. Maybe you reminisce the same way and can still learn from things that happened years ago. But what about your teenager? Likely they are going to go through a similar process of learning years later about what they went through. So what can we help them learn now? 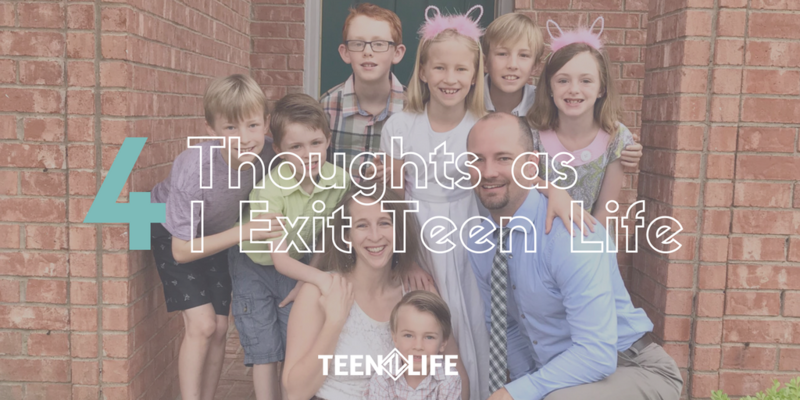 I shared some ideas with the 5th graders, but these ideas also translate well to the teens you work with. Keep school a priority. I remember not liking English, especially in high school. I felt I had enough of those classes and didn’t need to keep taking an English class every semester. I was tired of English, especially writing. I felt it was a waste of time because I had no intention of being a writer. I’ll give you a second for the irony of typing that to sink in. Besides this post, I am also writing donors, partner organizations and school administrators. I write those people using a persuasive style to help them understand why we should work together and how our program makes an impact for teenagers. I would tell teenagers today that you never know what skills may become important later in life. Try different things. In addition to what I listed above, I also worked as a painter, at a gas station changing the oil on cars, and as a waiter (for 4 days). Each of my job experiences helped me learn something about how to handle what I am doing today or how I do not want to handle what I am doing today. We should all encourage teens to try different things. These years are formative and a great opportunity to try things that can teach basic skills to help them build on what they are learning. Keep Reading. This is possibly the most important one. I spent too many years not reading, and these last few years, I have spent as much time reading as I can. Encourage your teen to pick up books, listen to them, sit at the library and read. Fiction, nonfiction, historical, biographies. All of these can be beneficial. I think the important thing is to stay focused on 2 areas. Reading things we both agree with and disagree with are important. Both of these help us grow and because we are reading, we don’t have to worry about emotions getting in the way. We get to simply learn, grow, and better understand how to engage the world around us. Find unique solutions to old problems. Lastly, I shared that many problems the world is facing are not new. They have been around since humanity began. They are similar because most of them are grounded in relationships. The difference is teenagers today have a unique opportunity to address problems in a new way. I believe, and I hope you do too, that each of us is different and unique enough that we can bring a new perspective to these old problems. I believe that youth today will find solutions no one has ever thought of, and as the adults around them, we need to encourage those ideas and help them carry them out. I hope this not only helps your teenager, but also you as you have conversations about the future. If we can have a perspective that is future focused, it helps us engage in ways that encourage rather than squash the creativity and uniqueness inside each student.